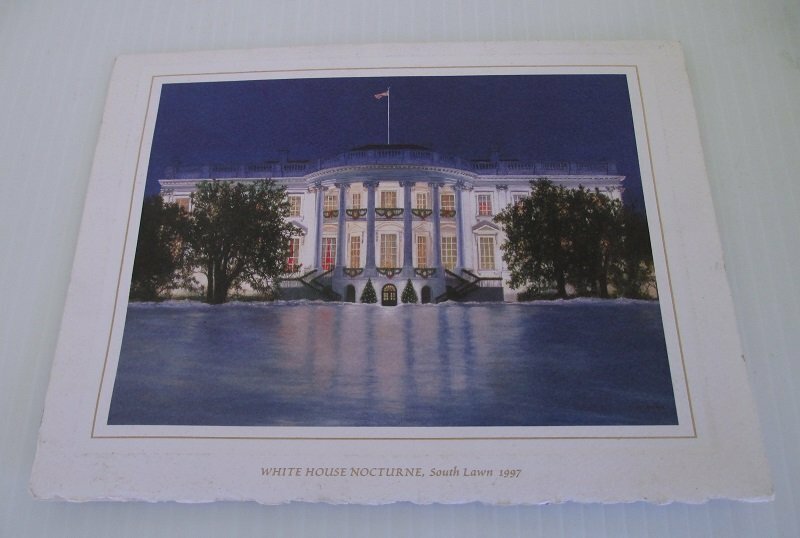 White House Washington D.C. Holiday Christmas card. Signed by Bill and Hillary Rodman Clinton. Most likely machine signed. Dated 1997. Note: There is no envelope. This is for the card only. I purchased it at an estate sale and the envelope was no where to be found. Card measures 5.75 inches top to bottom, 7.5 inches side to side. 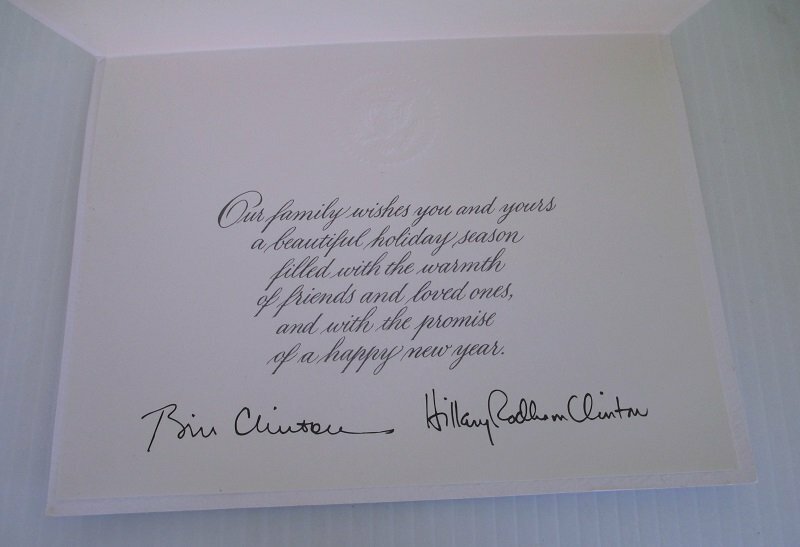 It is signed inside (by machine signature I'm sure) by both Bill and Hillary Clinton. The front features the White House with a snow covered lawn. There are no bends, curls, creases, or tears in the card. The back has a few faint smudges but the front and the inside are free and clear. Delivery will be via USPS 1st Class Mail Parcel from Arizona. Buyer to pay $3.25 delivery charges. Items in my listings come from estate sales, garage sales, or various auctions. I do not know if they came from homes where smoking or pets were present. All items are sold in the same condition as when I received them.